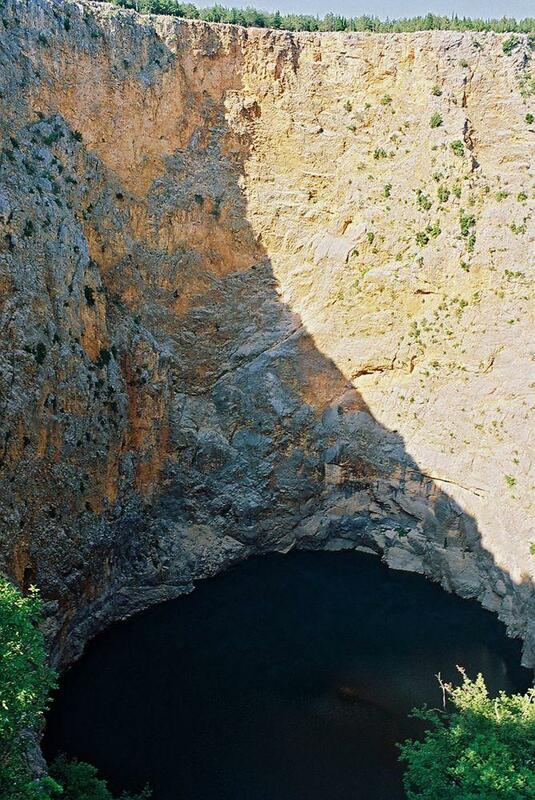 The largest and, as it seems, the most impressive karst formation in Dinaric Alps is Crveno Jezero – one of the largest sinkholes of the world. Dinaric mountains are formed of unusually thick and clean carbonate rock layers – up to 7 km thick. Tectonic processes in Paleocene – Eocene (some 50 million years ago) started to fold these limestone layers into Dinaric Alps which we know today. This process of folding still continues. During the folding the limestone was broken and in fissures there developed caves and other karst formations. In total in Dinars are known more than 8,000 landmarks created by karst processes such as caves, sinkholes, powerful springs. Around the Imotski town near the border with Bosnia-Herzegovina in the upper Cretaceous limestone there have developed unusual, extremely large sinkholes – in total some 20 giant holes, formed by underground river flowing on the contact of limestone (above) and dolomite (below it). The town itself developed at one of such sinkholes – the 220 – 290 m deep Modro Jezero. 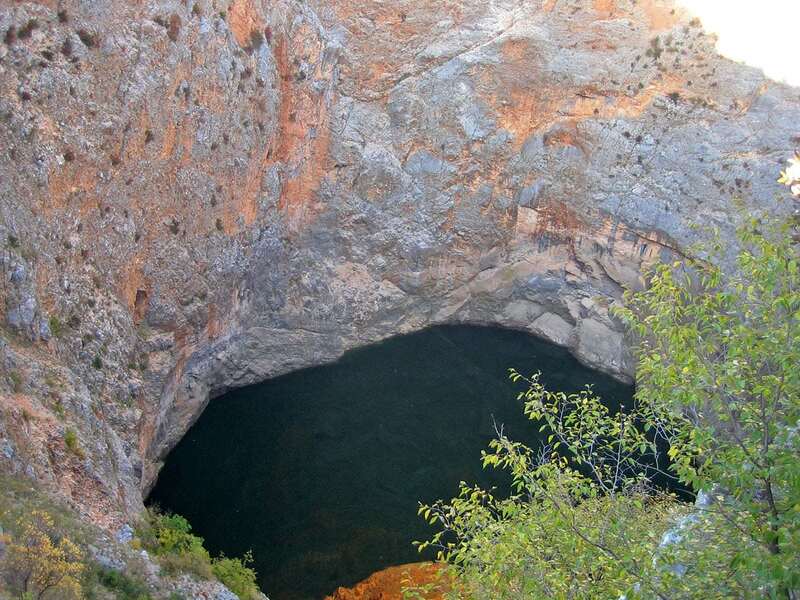 The largest of sinkholes near Imotski is Crveno Jezero – the largest karst landform in Dinaric mountains and one of the largest sinkholes in whole world. The name of sinkhole – Red Lake – stems from the color of surrounding cliffs, which contrast with the bright blue color of lake. These walls are reddish-brown, colored by iron oxides of Mediterranean soil Terra Rossa. 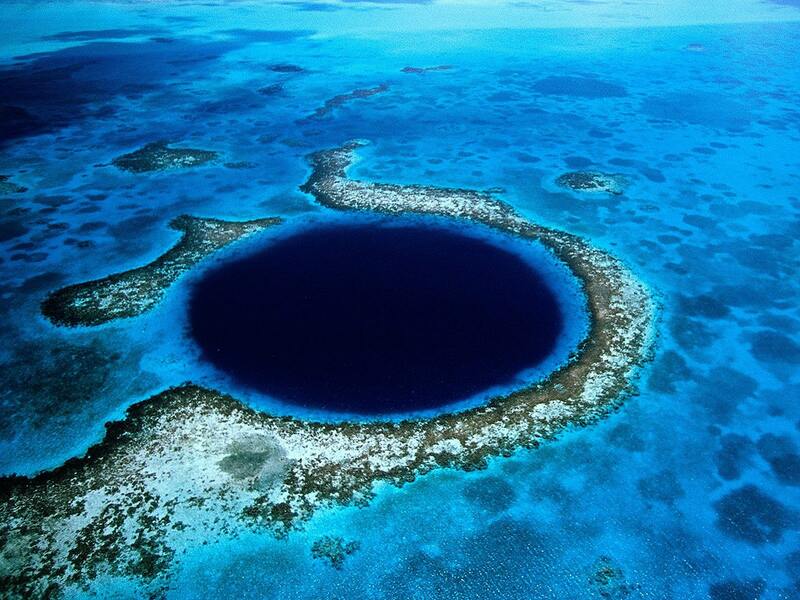 Sinkhole is roughly circular, with nearly vertical, extremely tall walls and deep blue lake far below. Walls are nearly vertical from three sides and slanted from the fourth. This fourth side collapsed during the earthquake in 1942. Color of the lake changes from green to dark blue, depending on the sky above it. Limestone walls rise over the average level of this lake 240 – 260 m tall, dwarfing the forest which grows around it. Total known depth of the sinkhole is approximately 530 m. Width of sinkhole – 450 – 500 m.
Volume of this sinkhole (not lake but whole sinkhole) is estimated to be 25 – 30 million m³, volume of lake is at least 7 million m³. Diameter of the lake is some 200 m. The known depth of lake is 280 – 290 m. Data about the depth of lake are somewhat controversial. This can be easily explained – the level of lake may change per 30 – 50 m.
Level of lake can change even for 1 m in a day – what requires a flow of hundreds of millions of litres per day. Bottom of this lake is located at least 5 metres below the level of sea. Thus the original cave, which formed this sinkhole, formed during the ice ages, when sea level was lower. When the level of lake is lower, it is not available – cliffs over the last 30 m are overhanging all around the lake. Though – if the level of lake rises, it becomes available – but also after hard and risky climb. Bathing in the lake water for most part is really chilly – above it may warm up – but not too much as the Sun reaches it for too short time. Deeper the temperature of water falls to 7 – 8 °C, water is very very clean and lucid. Crveno Jezero most likely has been formed by collapse of enormous cave hall. 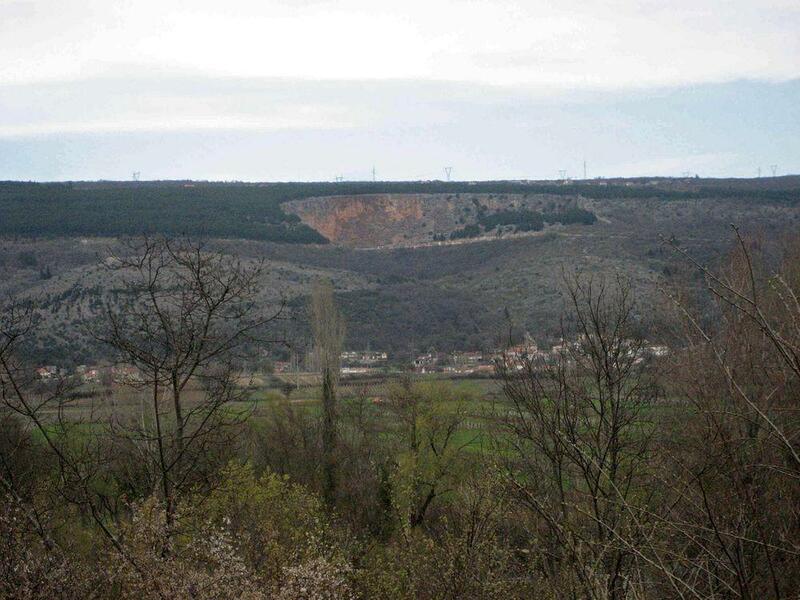 It seems to be the youngest of Imotski sinkholes – due to its vertical walls. But may be it simply has more active underground river which does not let to accumulate sediments. Near the water level of lake there have formed smaller caves. One of such caves – Czepitschka Cave – has been explored in 1998. It has one entrance above the water level and another – below it. Total length of this cave is 670 m.
Some other caves are Kik-kak (some 15 m long), Balkon Prijatelstva. These caves have formed by the intermittent level of water in the lake. Crveno Jezero, of course, is known since ancient times. 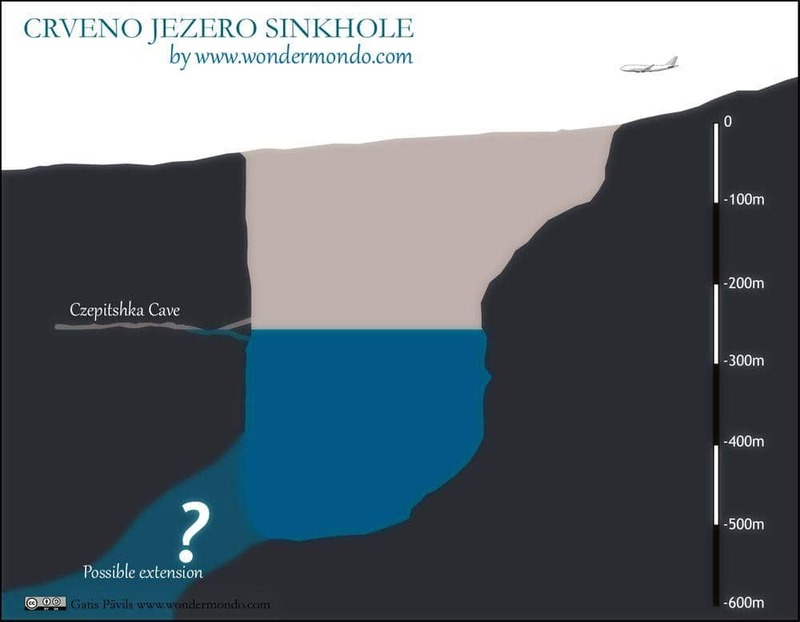 But Wondermondo knows about just one serious exploration expedition to this sinkhole (may be there have been more). This expedition was organised in 1998 by German, Austrian and Croatian speleologists and scientists, led by Aspacher, Behrend, Haslinger, Hilbert. This was complex expedition, requiring very high expertise and experience in climbing and deep diving. In hard work there was obtained valuable information. Fore example, explorers met powerful underwater stream at 170 m depth. Thus most likely this sinkhole is crossed by a powerful underground stream. This explains also why there was not noticed a layer of debris on the floor of lake. In fact one of the highest dangers for any explorer here is posed by the falling cliffs. On their way back to the surface explorers learned how dangerous it may become: during the thunderstorm collapsed enormous cliffs and after several hundred metres high free fall splashed in the lake. Even in calm weather occasional stones fall in the lake. Crveno Jezero contains several organisms who live only here and nowhere else in the world. One of them is small, up to 12 cm long fish – Delminichthys adspersus (Heckel, 1843) (earlier Latin names of this fish are Leucos adspersus, Paraphoxinus adspersus). In fact this fish occasionally, during dry winters and springs, can be seen in springs in the region around the sinkhole – it then spreads even in the surrounding rivers and lakes. This means that Crveno Jezero has underground connections to these springs. This fish is known to science since 1840 – but only in 1998 explorers maneged to see it in its natural environment. The lake contains lots of this fish. Even at 70 m depth there have been observed large swarms of Delminichthys adspersus – with up to 200 fishes in such groups. In evening they rise up to the surface of water and are seen from above as "mysterious" black spots. In Dinaric Alps there are found several more related species of Delminichthys genera – but none outside Dinaric Alps. These fishes require extremely clean water of Dinaric karst and are highly endangered. The natural and cultural heritage of Croatia is diverse and very charming. 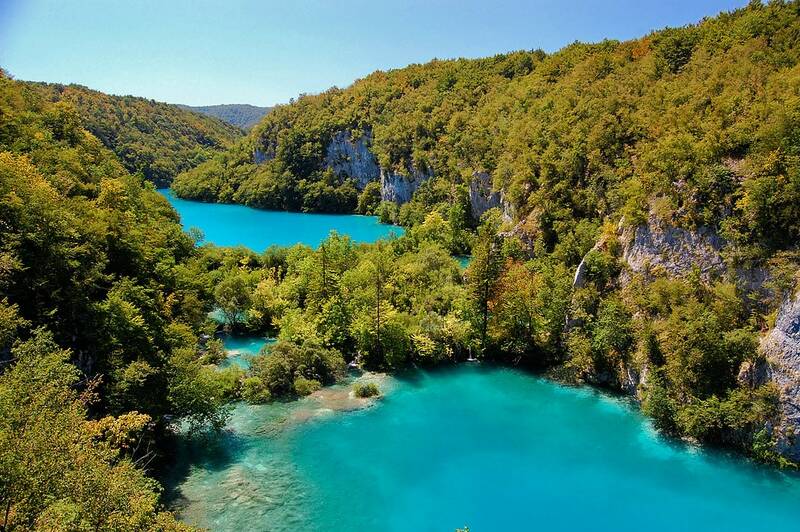 Highlights of Croatia are the ancient, beautiful Dalmatian seaside cities and towns and the diverse karst formations – such as waterfalls with tuff formations, sinkholes, caves and others. Stroll Dubrovnik’s ancient walls, drive through the idyllic Julian Alps, and set sail on the glimmering Adriatic: with Rick Steves on your side, Croatia and Slovenia can be yours!